Mamata's jewellery park has no private takers yet. What's next? The Bengal state government has already decided to set up a gems and jewellery park in Ankurhati, Howrah and work in on full throttle. This announcement comes on the heels of Chief Minister Mamata Banerjee's Germany visit where she went scouting for industries for the state. 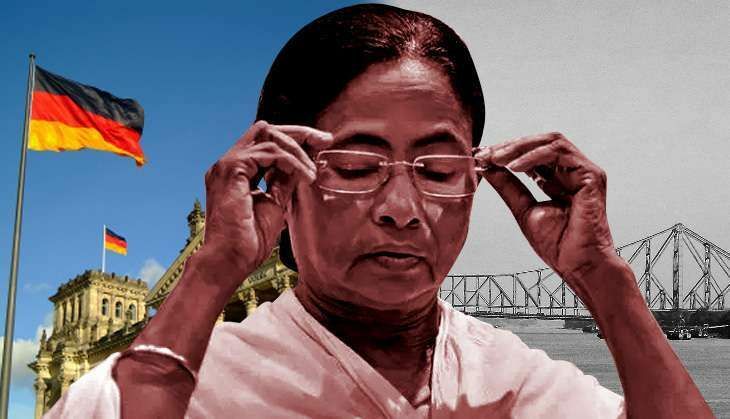 Mamata had claimed that besides the investment she was looking to draw for the automobile industry, there was also a lot of importance being vested on jute, leather and jewellery industries in the state. The 8-acre park in Howrah hopes to invite private players to give training to semi-skilled labourers of the jewellery hub.The work was started in 2013 and the park will be inaugurated by Banerjee on December 2016, with a projected cost of around Rs 66 crore. While no private players in jute, leather or the jewellery sector have given their consent yet to invest in Bengal, many private players including the Tata group has already expressed their interest in training the semi-skilled workers for recruiting as labourers in various projects. The training for the skilled, semi-skilled labourers will begin from November onwards. Apart from these innitiatives, the Bengal skill advisory committee of the Gem and Jewellery Skill Council of India (GJSCI) will also train artisans who will be recruited in the gems and jewellery park. Top officials of the state government said that if the jewellery hub comes up it will help create around 1 lakh jobs per year. A senior official of the state government said, "Till now no private players have expressed their interest in setting up their unit at the jewellery hub and the state government will again be inviting private players at the Bengal Business Summit this year and request them to set up base in the state." Somnath Chakraborty, the project in charge of the gems and jewellery park, said that apart from gold and gems shops, the park will have gold manufacturing units and reputed jewellery giants will be appealed to open their shops in the park. The jewellery hub will accommodate 30,000 goldsmiths. Government officials said that they are in talks with other private players especially in the leather sector, to invest in Bengal, but till now no official confirmation has been received from them. The proposed site for the gems and jewellery park is strategically located at Ankurhati, Domjur in Howrah district. The project is located close to the gems and jewellery cluster of Domjur and is in close proximity to the NH-6 and NH-2. State Finance Minister Amit Mitra has announced that the park will include two standard design factory buildings (G+5). The project is strategically located within the prime gold manufacturing cluster of the eastern region making it an enviable property. The location is easily accessible from Kolkata and has a sizeable concentration of skilled and semi-skilled artisans in surrounding areas thereby making the prospect of the project quite hopeful. Political analysts and economists, however, said that just setting up of a park for gems and jewellery will not be sufficient. Instead, the state government should concentrate more on attracting investment by offering some benefits to the industrialists. Reputed economist Proffessor Amiyo Mukherjee said, "We need to concentrate on such areas where industrialists want to invest before setting up parks, hubs in the state." Proffesor Avirup Sarkar, who is also an economist, said, "I am hopeful that some positive growth will be seen in Bengal," but added that he would wait to comment further. CPI(M) leader Sujan Chakraborty said, "For the last five years CM Mamata Banerjee has laid many foundation stones for various projects. But the projects did not help in achieving the industrial growth of Bengal. It is too early to comment whether the jewellery hub will help the masses or not."